Today, we are going to visit the beautiful city of Graz in Austria, where design professionals Love Architecture and Urbanism have built the most incredible oasis where residents can relax, unwind and feel at peace in the middle of the urban hub. The best part? The architecture is incredible! We will explore the spaces in this home today, which bring tranquility and serenity to exterior and interior design. Perhaps we will pick up some tips for our own homes! As Tich Nhat once said, Every breath we take, every step we make, can be filled with peace, joy and serenity. With a house like this, it's that much easier! 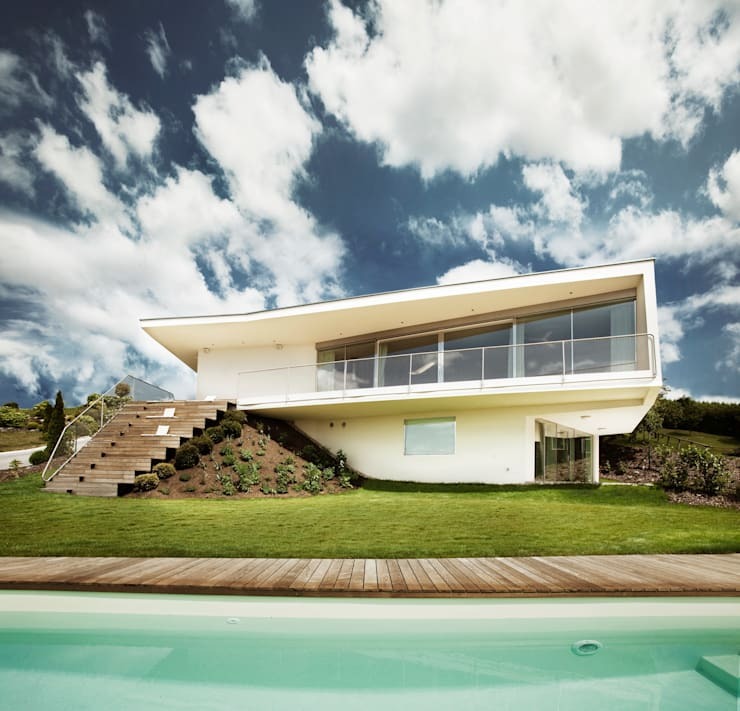 From the outside, we can see that this is an incredibly modern and chic home with clean lines and a unique shape. The designers have gone for a minimalist look and feel, opting for white tones interspersed with glass for the architectural structure. This further emphasises the sharp geometric shape of the home, against the backdrop of a beautiful skyline and the very green garden. 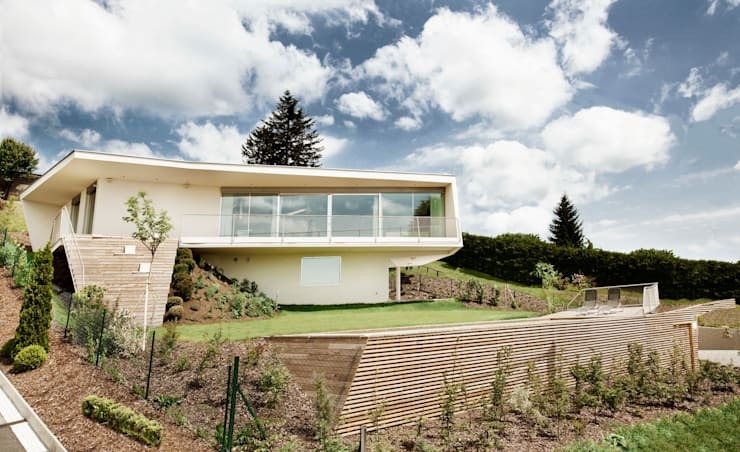 We can see that the home is built into the landscape behind it, rising up with the terrain. Stone steps lead up from the swimming pool and garden to the house itself. The perception of layers and different textures is very aesthetically pleasing! If we zoom out slightly, we can see how the property that the home is based on is quite expansive, allowing for a beautiful manicured lawn, garden and swimming pool. This is a wonderful addition to any city home, especially if you have the space, as it allows a connection to nature. Imagine playing games with the kids on the lawn here or spending each morning swimming for 20 minutes? It will be hard to believe that you live in a city! If you do have the space for a swimming pool in your back garden, you may be interested these 10 stunning swimming pools. We can also see how the extensive use of glass on the second floor of the home creates a transparent barrier between the interior and exterior spaces. 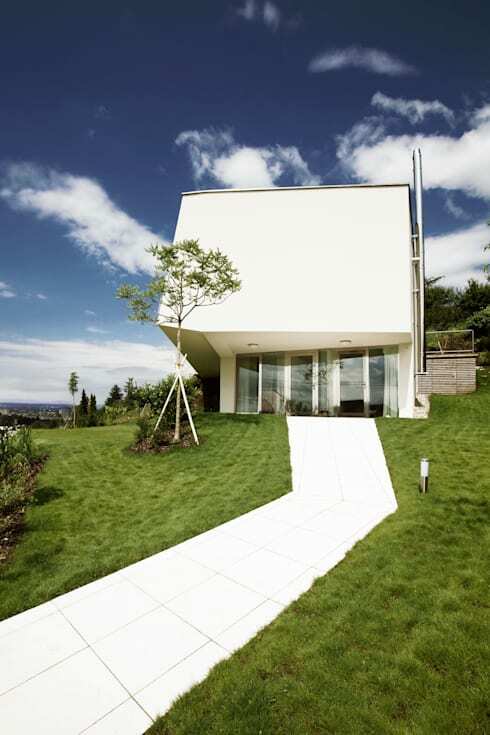 This allows natural light to flood the home as well as impressive views from inside the house. From this angle, we can see that a wooden deck wraps around the home, creating a perfect space for relaxing in the shade while enjoying the surrounding views. And what views they are! 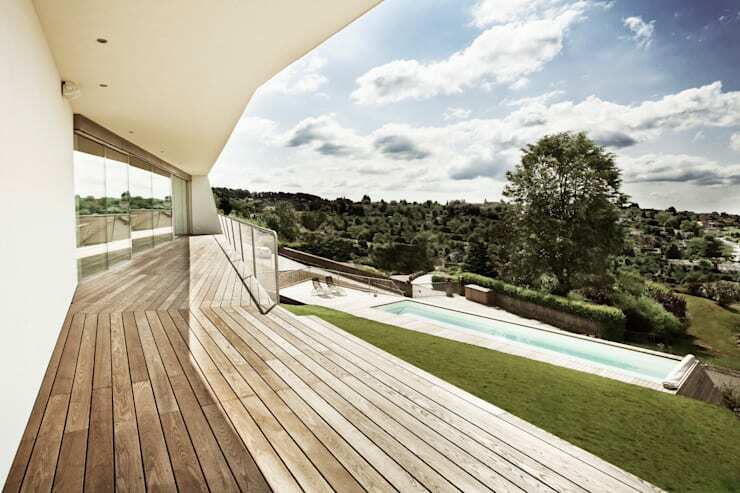 The wooden deck matches the material that surrounds the swimming pool, connecting these two spaces to one another, despite the difference in terrain. Wood is a great material for outdoor flooring as it is durable and brings an earthy touch to an environment. Next to the pool, the designers have placed some gorgeous sun loungers. This creates another area where the family can relax and enjoy time together, expanding the interior living space considerably. A tiled pathway has been created, leading visitors up through the garden to the home. This creates a wonderful distinction between the contemporary home and the rustic garden. You'll also notice that there are some lights installed in the grass, which help people to see where they are gong at night. This is a great functional tip, but it also enhances the look and feel of the exterior space at night. We won't be able to explore the whole interior, but we can pop our heads into the bathroom. We can see that the designers have gone for earthy tones throughout this space, including wooden counter tops and cream floors and walls. These are soothing colours that set the tone for a very relaxing bath or shower! The designers have also installed two sinks—a great tip for a couple. This allows them more than enough space to brush their teeth and floss, without getting in each other's way. The modern features throughout this bathroom also bring in that contemporary touch. 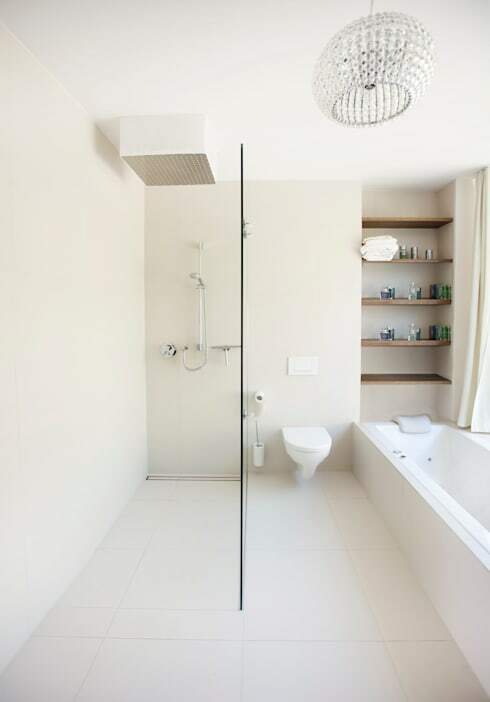 Remember that your bathroom is where you start your day so it should be a very soothing space. In order to ensure that your bathroom is a zen spot in the house, be sure to invest in smart storage solutions. Install shelves on the walls, cabinets under the sink and even cupboards behind the mirror! This will give you a place to store all items such as towels, make-up, soaps and shampoos neatly out of sight, keeping the bathroom looking clean and minimalist. A minimalist space is a stress-free space! Would you feel at peace in this home?